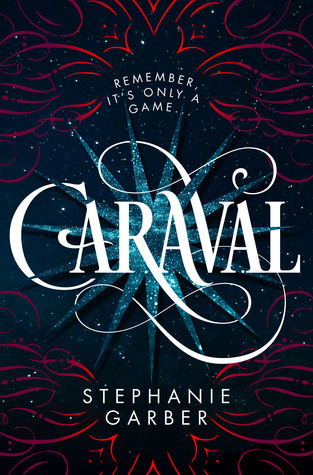 If I could give Caraval a one-word review, it would be, "Oh." So many emotions and reactions can be expressed by "Oh." We have "Oh no!" and "Oh boy!" and "Ohhhhhhhhhh" and the surprised "O!" and the mitigating "Oh." When I started this book I felt like "Oh boy!" and then I was kind of "Ohhhhhhh" and then "Oh no!" and I landed in the middle of the book with a resoundingly dull "Oh." 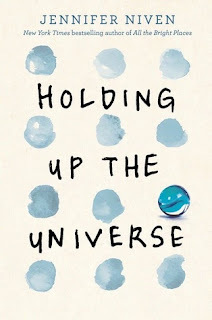 This is a book in which things happen, but nothing really happens. Do you know what I mean? The characters perform actions. Said actions create reactions. Ergo, there is action. However, all of this action doesn't lead to a satisfying conclusion, nor does it grab you and drag you along with it as it is played out. This is also a book in which the main character, Scarlett, spends 99% of her time talking about how scared she is to do something. "Maybe I shouldn't do that." "Oh no, what if my dad finds me!" "Oooo, we have to hurry so I can get home to my arranged marriage to a guy I've never seen but I'm sure he's aces because AT LEAST HE'S NOT MY DAD!" Dang, girl. You have to work on your priorities. And also your entire concept of marriage. And your self-worth. I mean, this is way more than I can help you with. The conceit of this book is that Scarlett and her younger sister Donatella* are basically prisoners on their father's island kingdom. Actually, it's not really even a kingdom, since it's been subjugated by a bigger kingdom, but theirs is no mere issue of sovereignty. Ever since their mother left, their father, the Duke, has been the textbook Evil Father. There's lots of beatings and ... yeah. It's not good. 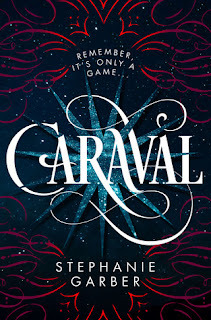 So ever since she was litle, Scarlett has been writing to the maestro of the mysterious and magical Caraval, hoping to get tickets for herself and her sister and to escape their life of misery. Only, when she finally does get the tickets, Scarlett doesn't really want to go because a) she might get in trouble and b) she's getting married to some old guy in a week and that's definitely a better shot at freedom than playing a game to win a wish. But then Tella sneaks out and convinces this random sailor to help them. He is, of course, devastatingly handsome and Scarlet takes an instant dislike to him. All three of them get off their own island and head toward Caraval's island. Once there, Tella disappears, and it soon becomes apparent that finding her is the object of the game. They play, there are betrayals, then more betrayals, and then the setup for a sequel. 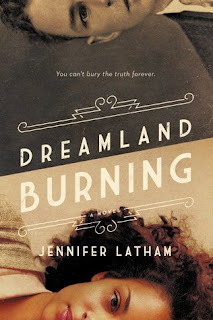 When this book was being pitched to me, I kept hearing over and over that it's about sisterhood and not romance. You could have fooled me. Scarlett consistently makes selfish decisions and only later wonders what would have helped Tella. We all know what's going to happen between Scarlett and Julian, the sailor. Their witty, romantic banter falls completely flat and becomes painful to read. Parts of the story are there just because they are popular in other books. In Caraval, Scarlett receives an enchanted dress that changes itself to suit the occasion, but is always beautiful and always puts her assets on full display. Front and center. However, I'm unsure as to how everyone made it into Caraval in the first place. As I understand it, you need your ticket to get in. As they are rowing to the island, Julian and Scarlett (Tella was dropped off first) notice that their boat has a leak in it! Oh noes! So they jump in the ocean, but the water drags Tella under because of the weight of her dress. Julian pulls a Captain Jack Sparrow and cuts Scarlett out of her corset. Theoretically, the paper tickets should either be lost or soaked, but they later just ... show up and everyone gets into Caraval just fine. Where were they keeping the tickets, exactly? Wait, do I want to know? I'm not sure if I could even categorize this as fluff, because it's not really "feel-good" either. It's a conglomeration of many fantasy fiction tropes that have been done before, and done better. The hype far outweighs any actual merits this book may possess. *Admittedly, my issue with the name Donatella has to do with my silly brain and nothing else, but I kept picturing the young and lovely Tella as the orange and leathery Versace variety.